« Fancy being our Treasurer? 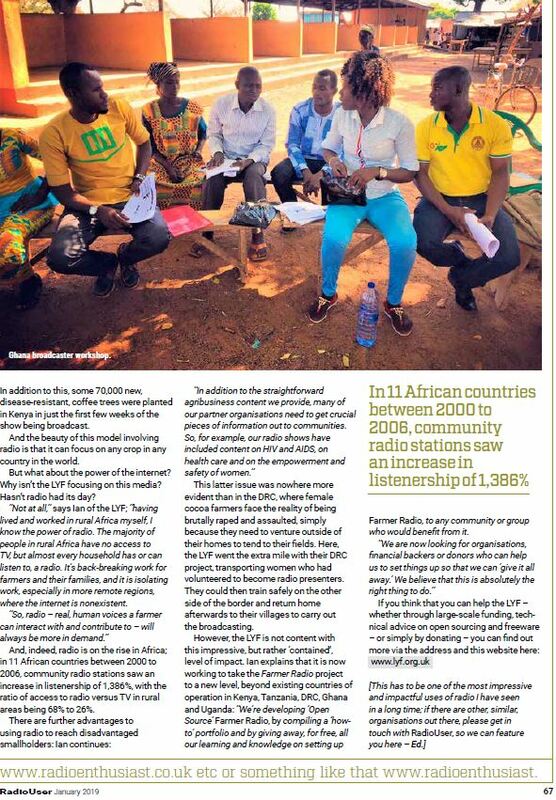 We were recently asked by magazine ‘Radio User’ to tell their readers about how – and why – the LYF set up our ‘Farmer Radio’ projects; empowering Africa’s poorest smallholder farmers through the medium of community-based, participatory farmer radio programmes. We hope that it raises the profile of our work amongst radio enthusiasts across the world; indeed, Chris Longden’s article was instantly spotted by well-known, British ‘autistic blogger’, http://www.stuartvallantine.co.uk/ who, along being a die-hard radio fan, has also worked for the LYF as a volunteer in the past! 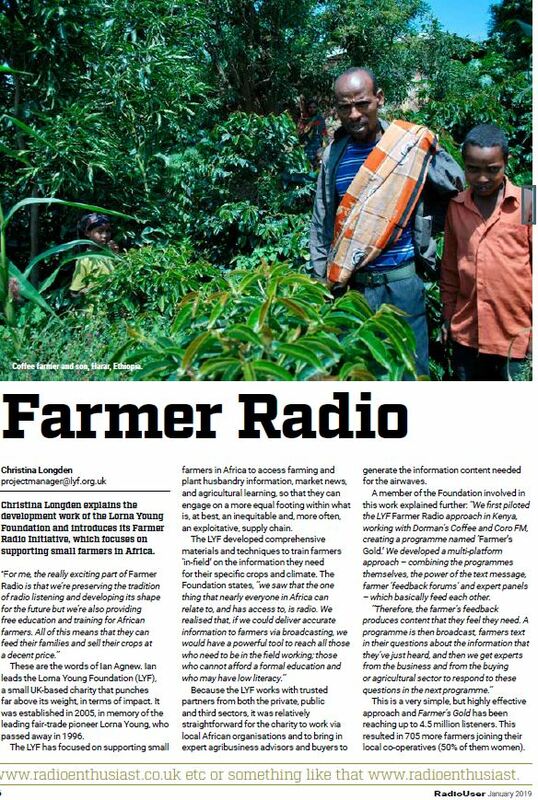 We have been delighted to receive emails of support from the magazine’s readers and will contribute more updates on our exciting, new developments with Farmer Radio. We are currently looking for ‘LYF Ambassadors’ to help us in our endeavours – so keep on checking into this website if you are interested! But as always – PLEASE consider donating to the LYF and perhaps raising money on our behalf! With thanks to Radio User magazine and Chris Longden for reproduction of this article. This entry was written by admin, posted on 23/01/2019 at 1:14 pm, filed under Farmer Extension Programme, Latest News, Project News, Updates and tagged #wireless, african radio, agriculture, climate change, community radio, farm radio, farmer radio, global warming, radio enthusiast, radio user, radio user magazine, smallholder radio. Bookmark the permalink. Follow any comments here with the RSS feed for this post. Post a comment or leave a trackback: Trackback URL.